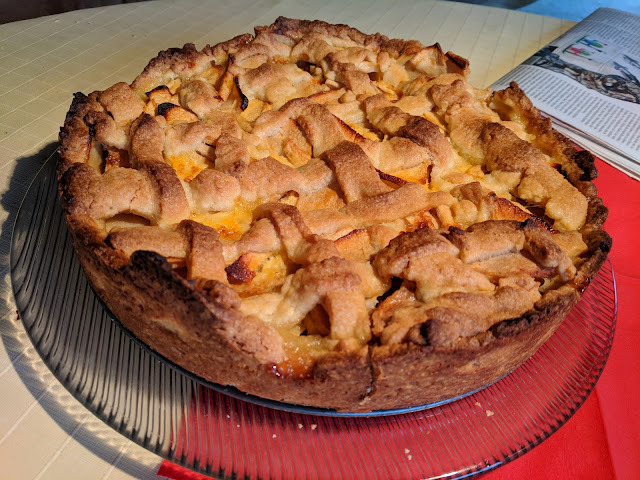 Last night to the delight of my mother I made apple cake. Let's see if it tastes as good as it looks. Her oven is running a bit hotter than ours, so the cake got a little bit darker than expected.